Thank you to all who were able to join us for our special Green Eggs and Ham Breakfast. 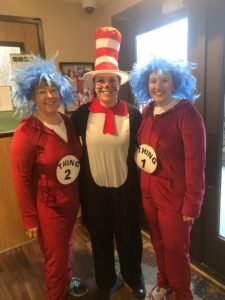 We had a wonderful time celebrating Dr. Seuss’ birthday and having so many special guests join us! https://kslittlelearners.com/wp-content/uploads/2018/01/newlogofinal-300x53.png 0 0 admin https://kslittlelearners.com/wp-content/uploads/2018/01/newlogofinal-300x53.png admin2019-03-04 12:31:582019-03-04 12:33:08Celebrating Dr. Seuss!! In January, we will begin enrolling for the 2019-2020 school year. We have placed an enrollment form in every child’s cubby. We would like to ask those families currently enrolled to let us know their child care needs for summer and fall. Once current families are placed, we will open enrollment to those families on our waiting list. Please complete the form and return it by Friday, January 11th 2019. We are pleased to announce that there will be no tuition rate increase for the 2019-2020 school year. Little Learners Early Childhood Center, Inc. located in Cedar Creek is independently owned and operated and is not affiliated with any other location. The following link is a letter with information regarding use of the name Little Learners by another center located on Mur-Len and a situation that occurred at that location on Thursday, May 17, 2012.